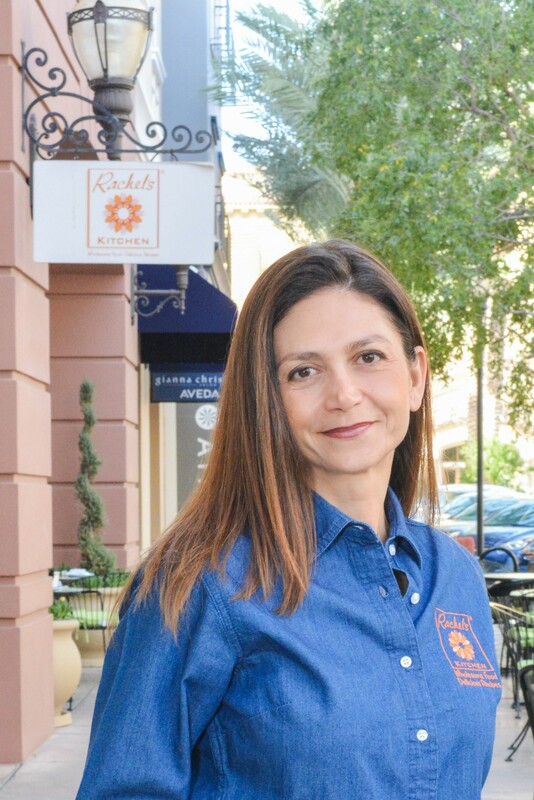 I had the pleasure of interviewing Debbie Roxarzade, founder and CEO of Rachel’s Kitchen. After what was the successful launch of ultimately seven restaurant concepts in Los Angeles, Roxarzade relocated to the newest culinary capital of the world, Las Vegas, to open a quaint café named after her daughter. With more than 20 years in the restaurant industry, Roxarzade has cemented her status as a leader and has been a recipient of numerous awards, including Women Who Mean Business, Women to Watch by Nevada Business Magazine and Top 100 Women of the Year by My Vegas Magazine. I started my career in the culinary circles of the star-studded City of Angels, creating a number of celebrated restaurant concepts including Debbie’s Bistro — once recognized as one of LA’s Big 10 Best New Restaurants by Los Angeles magazine. After the success and notoriety of what were ultimately seven restaurants in Los Angeles, I decided to relocate to the newest culinary capital of the world, Las Vegas. Home to more celebrity chefs than possibly anywhere else in the world, I knew this was the perfect location for my newest venture. Named after my daughter, the first Rachel’s Kitchen was opened in 2006 — a quaint fresh casual café featuring delicious and reasonably priced bistro fare. My concept was simple: serve fresh, high quality and great tasting food with a gourmet touch at affordable prices. Ten years later, that single location has blossomed to eight unique locations around the Las Vegas Valley, including a coveted spot inside McCarran International Airport. I love to cook, and always wanted my own business. I grew up in the Los Angeles area and once I was old enough I had the opportunity to open a small coffee shop. It was hard work, but I enjoyed the challenge. Within a couple years I was thirsty for the next step in my career so I opened a lunch café. I truly learned the restaurant business “on the job” and the knowledge helped me keep evolving and changing with the times. By 2005 I had opened seven eateries in the LA area. It was a wonderful experience! A restaurant business is not necessarily disruptive, but it’s the way we are going about it that is. Today, women account for 71% of servers, but only 45% of management and 19% of chefs. For me, being the founder, CEO and a woman, I hope to break the glass ceiling in the restaurant industry and encourage young women who wish to be in management or chef roles that they can do it. In terms of equality of women as leaders, I think there is a major shift happening in our culture today that is realizing women are just as powerful and competent as leaders than men are. It begins with women realizing their value as leaders. It’s different from how men exert power. Woman are generally more compassionate which makes us more approachable by our team members. Communication is important in any industry so having that openness with your team gives them the confidence they need to feel comfortable in talking about their ideas or challenges they may be dealing with. We are usually better at multitasking than men as we are used to juggling all the aspects of our lives. This helps in running a business as there are so many things leaders handle on a daily basis. I have had several mentors along the way but my family members have been the biggest influences. My uncle was a huge part of my early career and he taught me a lot about the value of hard work. My step-father has also had a great impact on me. He’s extremely kind and he taught me the value of kindness and generosity in both business and personal relationships. Having him in my life has helped me become who I am today. Rachel’s Kitchen has announced our plan to expand nationally through franchising. We’re starting regionally, with plans to enter Reno, Salt Lake City and Phoenix in the next few years. We then plan to continue growing into new markets and providing customers a taste of our delicious food. We are also redefining what it means to be a local restaurant. In each area we enter, we try to source local ingredients and we partner with various local charities. We are not just a for-profit business — we hope to truly become a part of whichever community we join. Stay connected with what is happening in your industry. Delegate and train others while still having knowledge of all aspects of your business. Be a good listener. Be kind and grateful to your team. If something doesn’t seem tight, trust your gut. Learn from your mistakes and stay focused. All of these elements will help you become a better leader and will help in both your professional and personal life. My favorite book is “Good to Great” by Jim Collins. It reminds me of how important it is to push to be the best. I admire fashion designer and businesswoman Tory Burch for the way she has developed her brand, and for her efforts with the Tory Burch Foundation, which she has created to help women entrepreneurs. I do what I can to give back to my community and I admire and appreciate her initiatives to give back.